Russia’s Ombudsman succeeds to mitigate restraint on daughter of seriously ill mother | Russian Legal Information Agency (RAPSI). 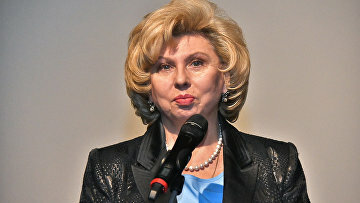 MOSCOW, February 25 (RAPSI) – Russia’s Rights Commissioner Tatyana Moskalkova could persuade a court to mitigate a restraining order putting under the house arrest a defendant, whose mother was seriously ill and in need of constant care, the official website of the Ombudsman reads on Monday. According to the Rights Commissioner press-service, the defendant approached Moskalkova seeking assistance in lifting of her house arrest she thought unlawful and claiming her mother needed constant care due to a serious illness, a circumstance the court dismissed when setting the pre-trial restrictions on her. Having studied the court documents, Moskalkova turned to relevant authorities and could insist on the replacement of the house arrest with a travel restriction order. According to the Rights Commissioner, the law enforcement bodies are to take into account the circumstances of defendants, including ailing relatives. 15:04 25/02/2019 Russia’s Rights Commissioner Tatyana Moskalkova could persuade a court to mitigate a restraining order putting under the house arrest a defendant, whose mother was seriously ill and in need of constant care.